There will be a Street Party atmosphere as part of the opening of the Hurst Festival. The High Street will be closed to traffic between 12 noon and 6pm. Please do come along and support the event for an afternoon of family fun! All the shops are planning special events for the day – come and find out more. There’s also a classic car rally, live music, face painting, stilt walkers roaming the street, morris dancers, a tombola, snow dogs, reptiles on the rec, fly fishing classes, art demos and the chance to try your hand at archery! Traders will be putting on something special for children too. The Kids Shop Window competition will be in full swing. Just collect an entry form from Mishon Mackay or Ashley & Thomas and go exploring on the High Street! As well as the usual fantastic array of shops, the High Street will be adorned with a number of independent stalls too. If you would like to take a stall for the day, please contact Gill Blackburn on 07748 630 316. The Co-op is scheduled to reopen at the end of November. However, this is pending approval of additional planning consent, for which the deadline was the end of August. On a brighter note, the temporary store on the green is now taking credit cards! 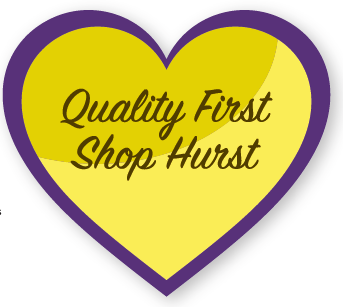 And Wendy from the Hurstpierpoint Community Shop confirms that the charity shop will be returning to the High Street as soon as possible after the Co-op’s move back.